Families Of Stone refers to a specific type of stone and all the products we carry of that type of stone. For instance Bluestone is our largest "Stone Family". 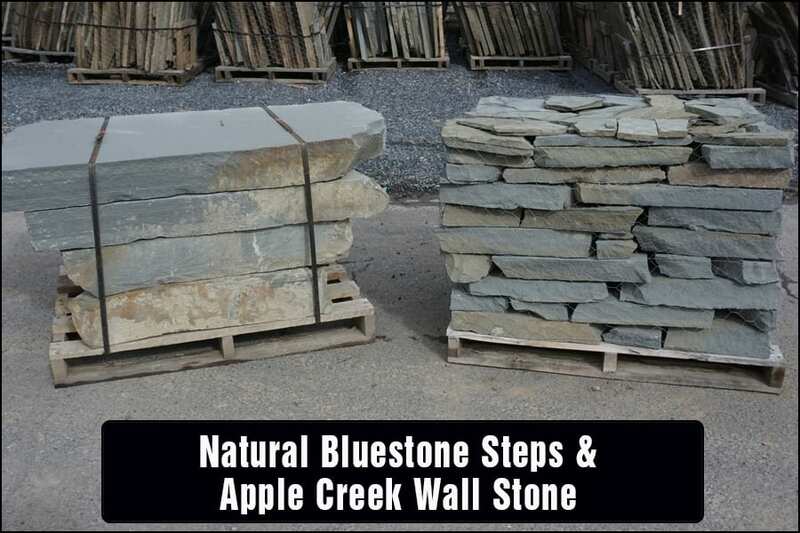 We carry Bluestone walkway and patio stone, steps, treads, wall stone, building stone, placement rocks, and bridge rocks. A family of stone allows you to have a unified theme of stone throughout your project. Although we have different types of stone that mix and match well, many customers, architects, designers and builders prefer to have a consistent theme of stone. 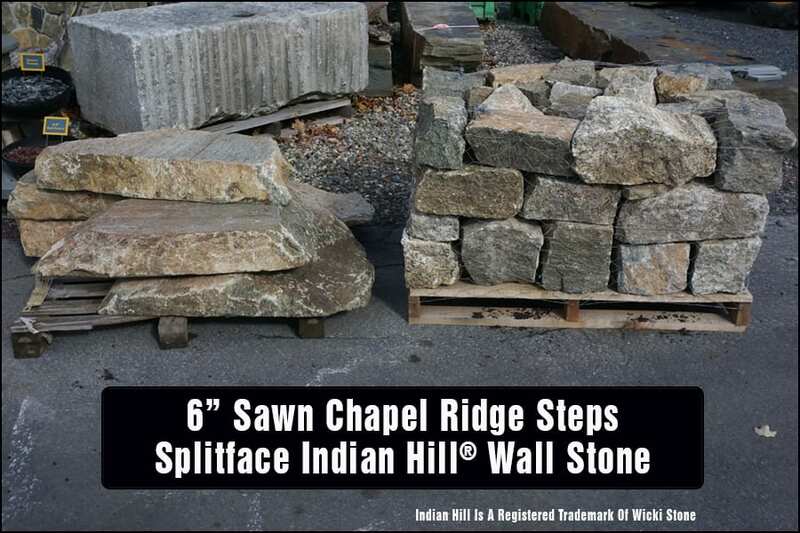 At Wicki Stone we have the breadth of inventory to offer multiple stone families for consistency throughout your project. 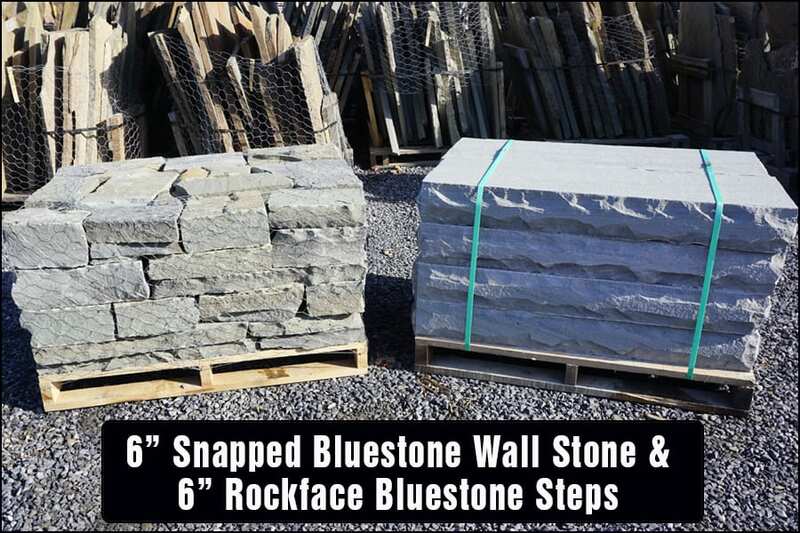 We offer the following product categories of bluestone (click on picture to go to that product category). 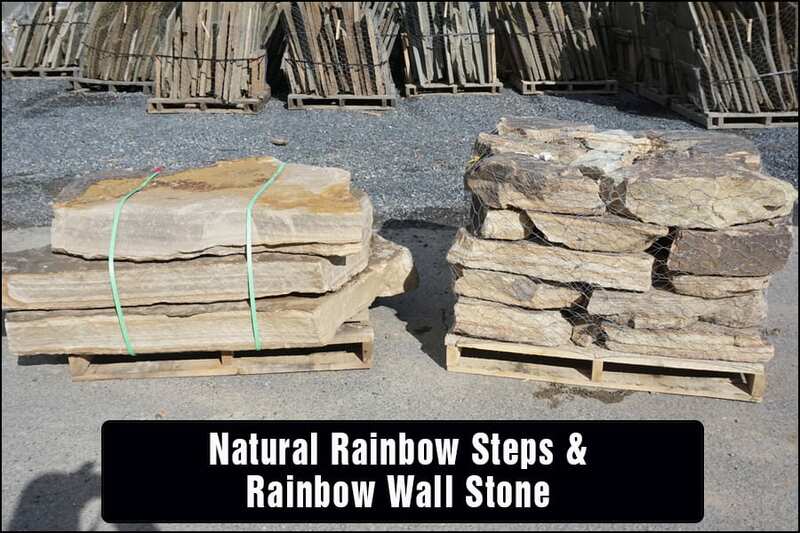 We offer the following product categories of Rainbow stone (click on picture to go to that product category). We offer the following product categories of Limestone (click on picture to go to that product category). 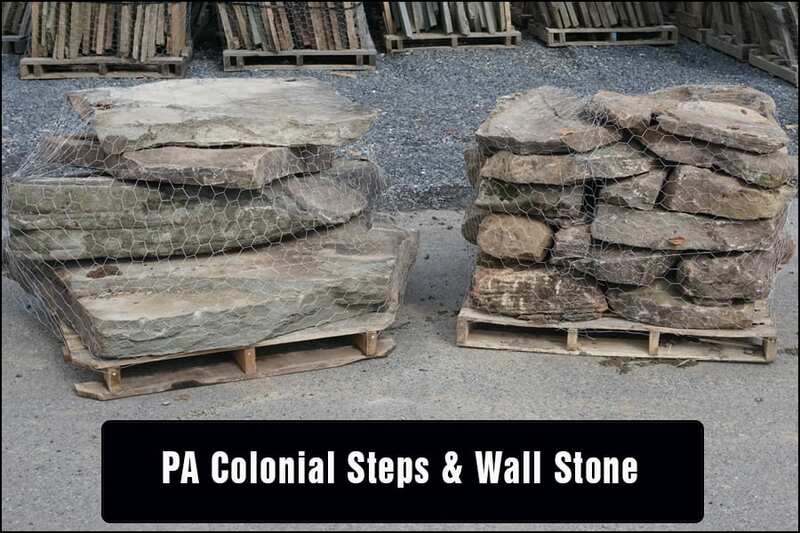 We offer the following product categories of PA Colonial (click on picture to go to that product category). 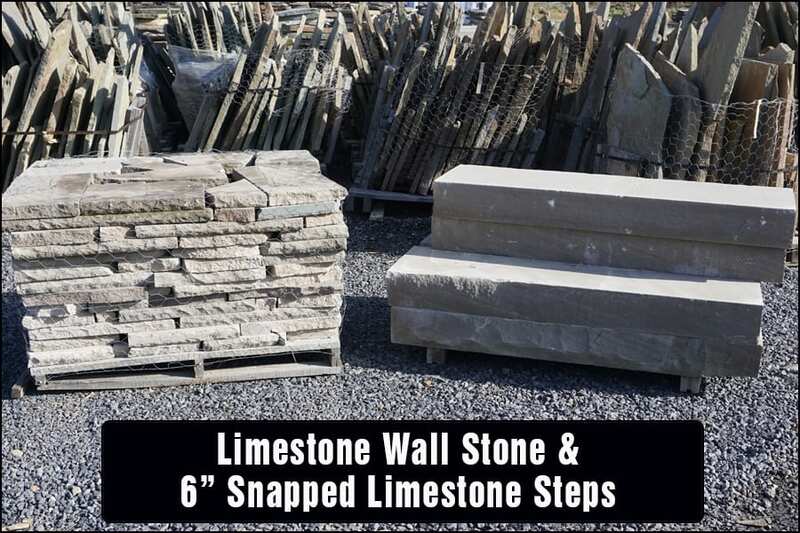 At Wicki Stone we get more requests for matching wall stone and stone step combinations than any other combination of product categories. 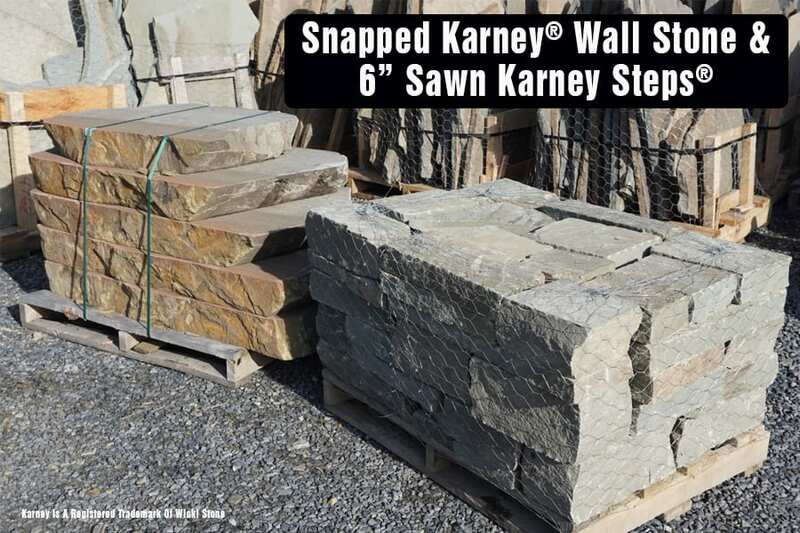 Below are 7 of the most popular stone step/stone wall combinations.